Your life changes completely when a little bundle of joy enters your life, but how much does it change when two of them join your family at the same time? Well, it changes drastically. Giving birth to twins can mean double the joy, double the blessing but also double the effort and sleep deprivation. Raising twins needs a lot more energy and involvement from both parents than raising one child. If you have infant twins or you’ve received the good news from your doctor that you’ll have twins soon, firstly – congratulations! Secondly, don’t stress. Proper planning, preparations, and scheduling of your time right from the beginning can be very helpful. How should you handle twin babies? You will come across a lot of problems and issues which parents with one child usually do not experience. Identical or not, raising two little babies who are so similar yet so different is a challenge. So how can you handle the mischief of cute little twins? The following are some things that we think will make it much easier. 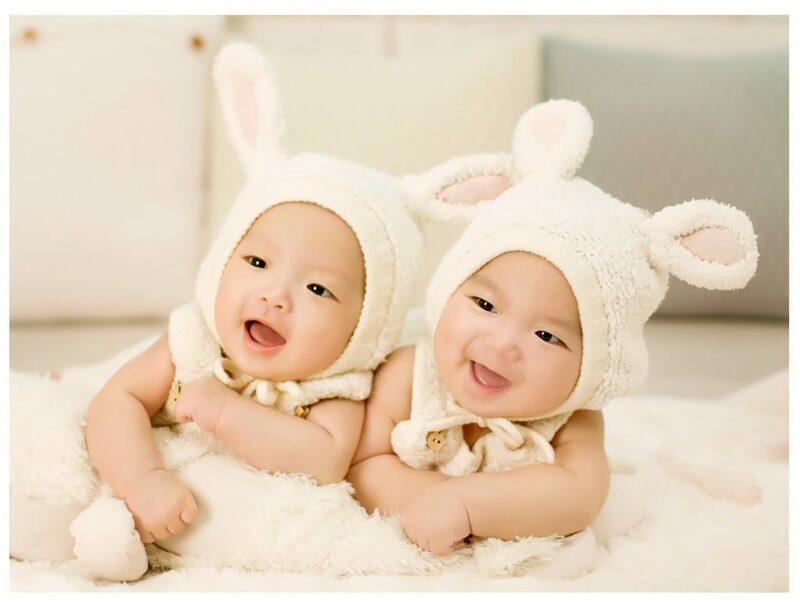 Right from the beginning, your identical or fraternal twins will be quite different from each other. They will have different likes, dislikes, one of them might be a happy little love bug, while the other might wake up the whole neighborhood with his cries. As a parent, it is essential to embrace their differences and work with them. Remember to never make either one of them feel excluded or unloved. Value their choices and individuality even if the society only views them as a ‘pair of twins’. There will be moments when your twins do not seem to like each other that much, but if you handle it with care and love without losing your temper, such situations will be resolved very quickly. Healthychildren.org has useful guidelines for balancing your life with twins. 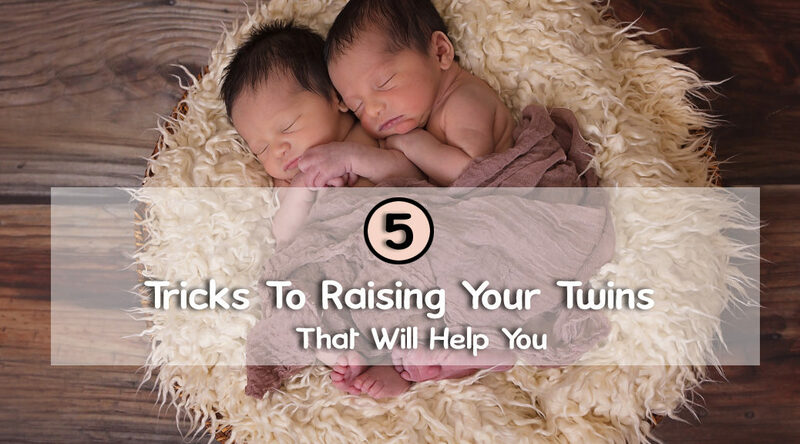 It’s no easy task, but try to set a common schedule for the twins. If your children’s feeding time, bathing time and sleeping time is the same, it means that there will be some time left for you as well. Partner up with your significant other and schedule your nap timings accordingly. With some practice, you can breast-feed both babies at the same time or you can choose to feed them formula. Although having twins can mean sleep deprivation for parents, it doesn’t have to be a complete nightmare. If you’re a parent of twins or even triplets, multi-tasking will be an important part of your schedule. There will be times when one of your babies is throwing a tantrum while the other one is just playing with his toys quietly. At such times, you can pay a bit more attention towards calming the crying baby without feeling any type of guilt for it. Being a mom of twins means you need to juggle multiple things at the same time while keeping both your babies occupied without losing your cool. Even if you can successfully multi-task, don’t refuse any help when it comes your way. Ask for help from your mother, mother-in-law, baby sitters or any of your best friends and they’d be glad to help you out. You can use this time off to sleep, eat well, go swimming or do anything that helps you relax. Raising twins is a stressful duty but there are a few ways you can effectively handle the stress. Don’t isolate yourself. Take breaks during the day. If you’re depressed, talk it out with someone. Express yourself. Find some time for yourself and unwind. Don’t lose the spark of your marriage with your significant other. Join Twins and Multiples support groups. Lastly, don’t worry, things will get easier gradually. Having twins is an experience like no other. It’s a challenge but it is also greatly rewarding. It can get crazy, your house might become a complete mess, you might even envy parents with one child – but don’t panic, it’s all worth it in the end!